Times are changing, as once upon a time a report like the one last week in the LA Times about an elite LAPD unit disproportionately stopping black motorists would have resulted in a shrug. Instead, on Monday, LA Mayor Eric Garcetti called for an audit of stops by the elite Metro Division in response to the Times investigation. “Trust is essential to our public safety, and every Angeleno deserves to be offered dignity and respect,” Mayor Garcetti said at a news conference Monday morning on 2018 crime statistics. Furthermore, “Metro makes most of its vehicle stops in South Los Angeles, which is almost one-third African American. But even there, the percentage of black drivers stopped by Metro is twice their share of the population, the analysis found. Connie Rice, a civil rights attorney, called it “stop-and-frisk in a car. “Do you want the trust of the poorest communities, that are the root of the  riots, or do you continue … massive stop-policing that creates mistrust?” she added. But he argued that “intense policing is necessary in high-crime areas to keep residents safe. He noted that “LAPD officers are trained to recognize their own implicit racial bias and that the department conducts random reviews to ensure that stops are constitutional. “We can and should look at the conduct of officers that conduct frequent proactive activity to ensure that there’s a fairness when they’re exercising discretion, that it’s not just hunch policing, that they’re not just stopping everything that moves, per se, because that’s not lawful or right,” Chief Moore said. It turns out that LAPD is not the only culprit here. 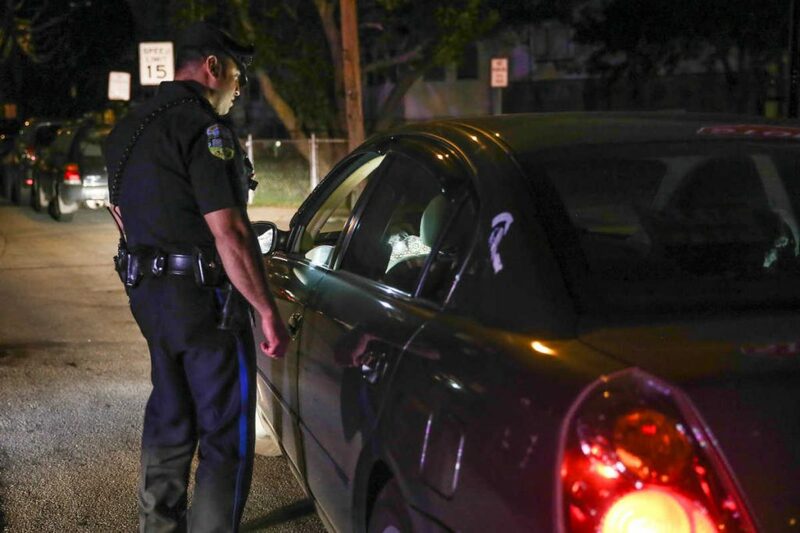 Black and Latino drivers were asked to consent to a search about 1.7 and 1.3 times more often than white drivers but when officers performed consent searches, white drivers were found with contraband about 1.3 times more often than both Black and Latino drivers. Meanwhile, in Los Angeles, Chief Moore acknowledged on Monday that the findings by the Times “renews an important question” dealing with “how law enforcement strategies affect public trust and the safety of those who live in neighborhoods affected by violent crime. He later argued, that the question of whether Metro should stop so many black drivers is “far more complex than the use of the simple comparison made in the L.A. Times report. “We know the incidence of violent crime does not strictly follow the proportionality of the ethnic makeup of a community. Neither should our enforcement strategies,” he said. Next : White Supremacist Hero or Thug? I think the statistics behind both cities are not relevant to show that the police did anything wrong. If box A contains 50% red marbles and box B contains 10% red marbles, the strategy to get as many red marbles as possible is to draw only from box A.
LAPD: population composition is irrelevant. If an auditor rides along in the same police car, we can collect data on whether the auditor is better at deciding who to stop. As they drive around, both the police and the auditor can decide that the police should stop a person. Then we get data on who is better at the job. There are a lot of problems with this comment. First, if police were pulling people over randomly you would expect a rough breakdown along the same racial ethnic lines as the community. That’s not happening. Even taking into account targeting by neighborhoods the traffic stops are disproportionate. On the other hand, if they were simply pulling them over based on actual evidence of wrong doing, you would expect stats that reflect this. That’s not what has happened either. To be legal, there has to be a basis for the traffic stop. The low hit rate suggests that that is not the case. Say there is an auditor riding along in the police car. The auditor observes that there are 20 instances where the police could legally tell the driver to pullover. Suppose 10 of them are black drivers, but the city only has 10% black people. Then, from the math, the police pulled over 5 times as many black drivers than proportional to the population. Did the police do anything wrong? The auditor wouldn’t sit in car anyway. The auditor would review the policy, talk to the officers, and determine why it was that they pulled over the population that they did. If they in fact targeted people by race – yes. If their tactics simply resulted in that racial breakdown, it is more of a gray area, the auditor and police makers may wish to alter the policy. I see what my problem is now. The police is not allowed to free to decide who to pullover, so the marbles situation is not applicable. The police cannot strategize. Thank you for explaining.